Abby Sullivan is an Environmental Scientist at the Philadelphia Water Department. 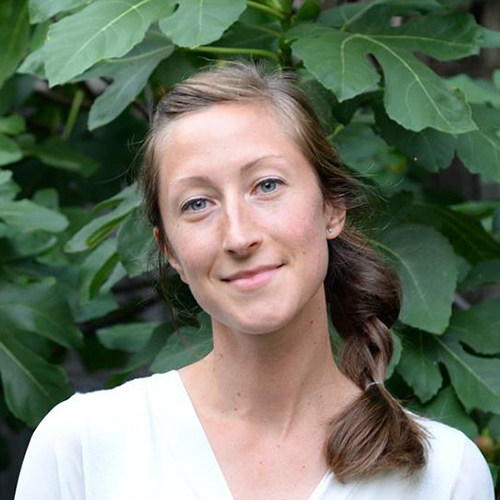 She started at PWD as a consultant in 2014 working on outreach, education and green stormwater infrastructure planning for the Green City, Clean Waters program. In 2016 she became a city employee, joining the Climate Change Adaptation Program (CCAP) at PWD. She is the project manager for the Inundation risk assessment looking at the impacts sea level rise and storm surge may have on PWD assets and systems. Results from the Inundation analysis are informing resiliency design guidelines and decision-making tools for the Department. She also leads external and internal climate change communication efforts for the CCAP. Abby has a Master’s degree in resource management with a focus on water from the University of Akureyri in Iceland. She enjoys strong coffee, bad puns, rainy days, soccer and renovating her 100-year-old house.